“Since launching the BMW i3 in 2013, the BMW Group has rapidly grown its sales of electrified vehicles. With over 140,000 delivered in 2018, we have once again achieved our ambitious target,” said Harald Krüger, chairman of BMW AG. “This great sales result and our impressive market share prove our vehicles are what the customer wants. In countries which offer appropriate infrastructure and regulatory support, we see how quickly electromobility can become the norm. I’m confident that by the end of this year, there will be a total of half a million electrified BMW Group vehicles on the roads, with much more to come as we continue to extend our model line-up over the next few years,” Krüger continued. In the company’s home market, Germany, the BMW Group accounts for one in five electrified vehicles sold last year. Globally, the BMW Group’s market share is over 9 per cent. The company’s biggest single market for electrified vehicles is the US, where over 25,000 electrified BMW and MINI vehicles were sold in 2018, accounting for more than 7 per cent of the BMW Group’s overall sales in that country. 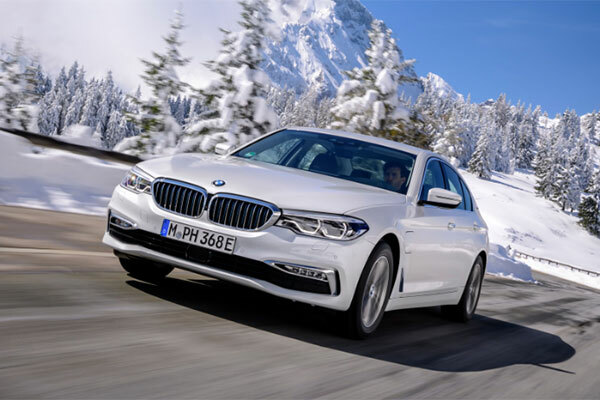 The BMW 530e (combined fuel consumption: 2.3-2.1 l/100 km; combined power consumption: 52 – 47 g/100km; combined CO2 emissions: 13.9 – 13.3 g/km*) was the year’s biggest-selling luxury plug-in hybrid in the USA. The growing significance of electromobility for the BMW Group’s ongoing success as the world’s number one premium automotive company can already be seen today. Electrified vehicles accounted for 6 per cent of total BMW and MINI sales in 2018, compared with 4 per cent in 2017.